Colorado Women Flyfishers (CWF) is a non-profit women’s fly fishing club formed in 1997 to encourage and support women who fly fish, who enjoy the camaraderie of other women who delight in the sport of fly fishing, and to provide a forum for women fly fishers to meet. 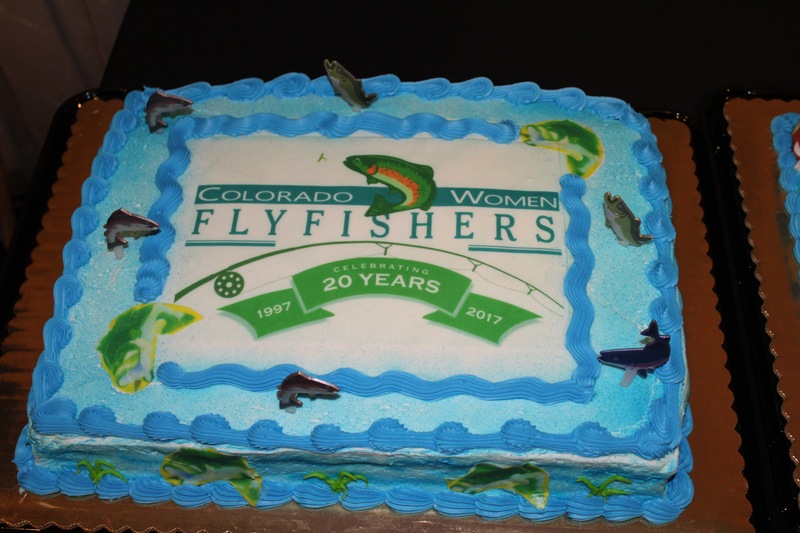 Colorado Women Flyfishers is celebrating 20 years in 2017. CWF welcomes women fly fishers of all ability levels. The club seeks to offer a supportive environment in which each member can improve her fly fishing knowledge and skills and have fun in the process. Our diverse membership ranges from young singles to grandmothers, beginners to professionals, and those who can only fish once a year to those who fish several times a week! This fly fishing club for women is centralized in Denver, Colorado but we welcome women from all over the country. We have the chapter in the Denver area and also a Northern Colorado chapter located in Fort Collins, Colorado. We organize women’s fly fishing trips in Colorado, Wyoming, Utah, and New Mexico for our club of women who enjoy fly fishing. Colorado fly fishing is second to none and we enjoy helping to spread the sport of fly fishing to women of all walks of life in our beautiful state of Colorado. Our club offers a variety of services and activities that are described in the following pages.